Finished! 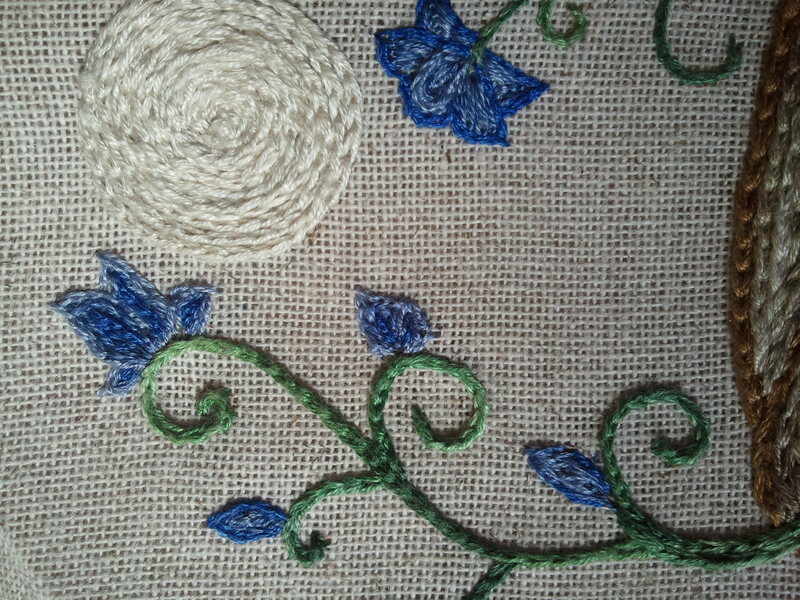 This was fun to mess around with and gave me some good ideas as to how I can use chain stitch in future projects. I’m not sure what, if anything, I’ll do with the finished piece, but not everything needs to be about the end result; sometimes the process of making something is the point. If I were making more flowers, I would probably stick with using a darker color as the outline rather than the lighter because I think it reads better, but that may also be because the light blue is close in saturation to the ground color. 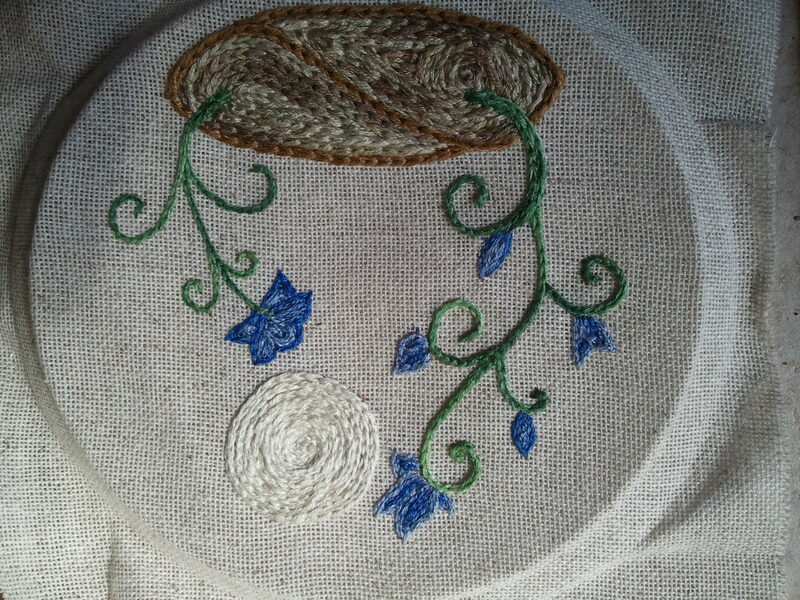 This entry was posted in Uncategorized and tagged chain s, embroidery, flowers, surface embroidery by Rene. Bookmark the permalink.